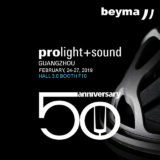 Beyma was present at the last NAMM Show 2018, (Anaheim, California) where his North American Distributor, Professional Audio Components were exhibiting his newest products. In this great event Beyma was proudly awarded the Reader´s Choice Awards for Best 2017 subwoofer of the world to our 18LEX1600Nd. 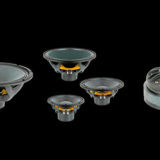 by Prosoundweb & Live Sound International magazines.